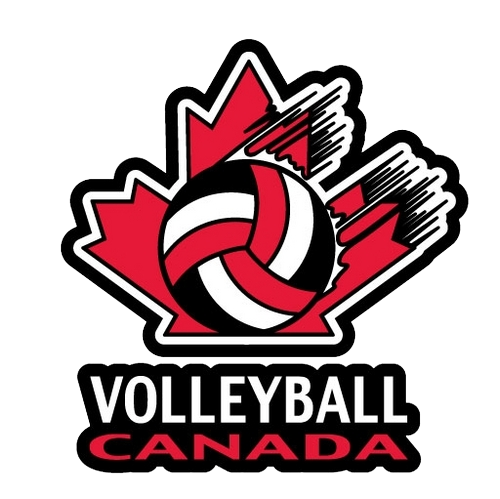 Pakmen Volleyball is the only Volleyball Canada accredited volleyball club in Mississauga. 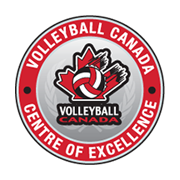 Pakmen is the top volleyball club in Canada based on overall results at both Provincials and Nationals in 2014, 2015, 2016, and 2017. Pakmen started the volleyball revolution in Mississauga. It all began at David Leeder Middle School, located in North Mississauga, which was at the time in an area that was in the midst of development. None of us realized 15 years ago that we were setting up in a very central location. David Leeder Middle School is only 20 minutes from Etobicoke, 15 minutes from Milton and 4 minutes from Brampton. By being very close to a number of 400 series highways, players from various localities are able to attend our programs and practices. With the forming of a new community comes the people who form a community, which includes kids. An influx of children in the area means new elementary and high schools are required. The headquarters of all our weekend programs, Mississauga Secondary School, was built during that time. The triple indoor gym facility boosts hardwood floors, which is an added bonus for volleyball. The high school is just two blocks away from David Leeder, which made it easier to coordinate. We also have programs at Derry West Village as well. A few years ago, we decided to take the opportunity to set up shop in another community. 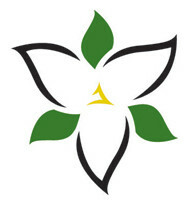 The Erin Mills / Churchill Meadows area, a booming new community located in West Mississauga, was ideal for us, as it was very close to our Oakville players. We started off with Thomas Street Middle School, with our summer Volleyball Camps. Recently, we started offering programs out of West Credit Secondary School, which is located between the two volleyball hubs Pakmen created. In 2002, we started off with one boys volleyball team. Every year after, we added a team to our roster. By 2006, we decided to shift our focus from being an exclusively boys rep volleyball club to one that would benefit any child, regardless of their prior experience playing the sport. We test-drove the Development League, then a program for boys and girls in middle and high school, at Mississauga Secondary School. The rest is history. 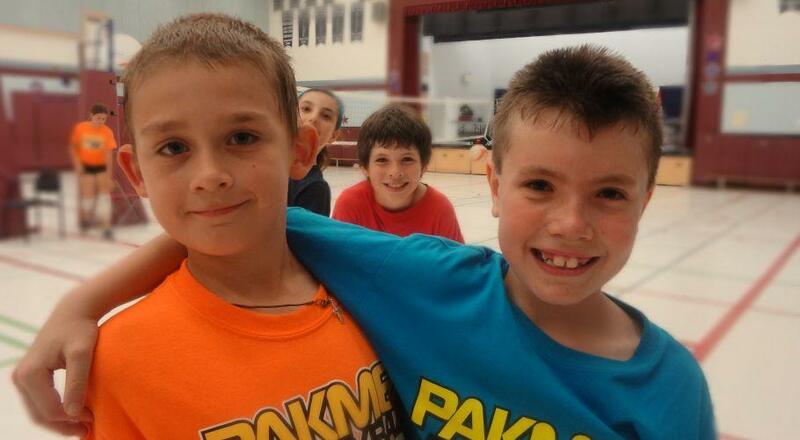 By becoming the pioneers of volleyball leagues in Mississauga, we are able to attract players throughout the GTA. School teams are better with our training programs such as Technique Tutoring and the GTA Premier League. Rick Hansen and Mississauga Secondary Schools are known for their volleyball teams, and most of their players have attended at least one of our programs in the past, if not our rep teams. Mississauga also benefited from the infrastructure that would not have existed with us. 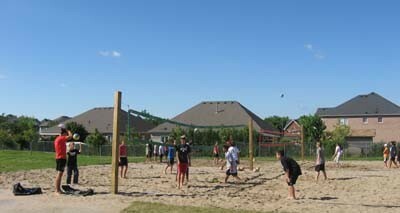 The Ravi Sodhi Beach courts at David Leeder allows us to provide beach programs for all skill levels. Not only do these beach courts benefit our players, but they also benefit the students at David Leeder and the general community. We are currently undergoing construction of another set of beach courts at Thomas street Middle School, with financial assistance from the Ontario Trillium Foundation. How have we impacted the youth of Mississauga in general? By providing beginner youth volleyball programs, kids who typically don't get the chance to play a sport do so. As a not-for-profit organization, we have the luxury of providing programs at cost, and so all our leagues, training programs and even rep teams are cheaper than many other volleyball businesses. Our prices only go up when our expenses, such as gym permits, equipment fees and t-shirts increases in price. This has allowed working class families to send their children to similar extra-curricular activities like other kids. We are also one of the most ethnically diverse volleyball clubs in Canada. We do that by promoting our programs through schools, instead of existing volleyball institutions. We also provide close to 40 post-secondary and high school students with jobs and countless others with volunteer opportunities. These positions range from coaching (councillors in training, assistant coaches to head coaches), promotions (such as flyer distributions) to administrative. When we say a volleyball revolution, we mean it. However, such a revolution would not have been possible without the countless volunteers and supporters over the years. Program for girls and boys in grades 5 - 6 & grades 7 – 8. Players should already have basic volleyball skills. Program for girls and boys in grades 7 - 8 and 9 - 12. Players should already have intermediate volleyball skills. This high performance training program is for girls in grades 7 - 8 and 9 - 12, who are members on their school team. A high performance training program for boys in grades 7 - 8 and 9 - 12, who are members on their school team. Ready to join but have questions? Contact us below!